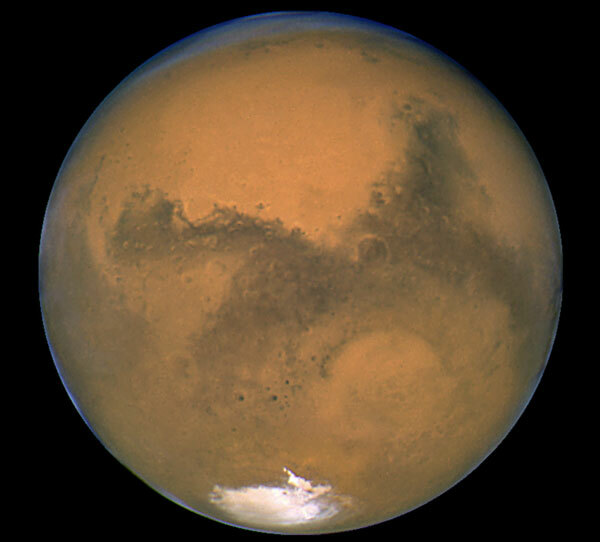 Today's Image of Mars is one of the most well known images of Mars. It was taken by the Hubble Telescope on August 27 2003. You can see the clearly defined south polar ice cap, as well as many other features. This is the most detailed view of Mars ever taken from Earth. I suggest that you click on the image because it links to the NASA page, which provides much more detail. I would provide more detail here, but I am at NASA Langley for the #NASATweetup and don't really have time.